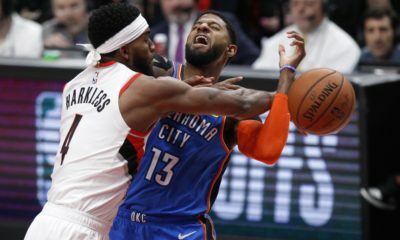 OKLAHOMA CITY — The Oklahoma City Thunder’s final preseason game would become Paul George’s personal laboratory to showcase his talent. At least in the first half. The All-Star dropped 19 points in the first quarter on 6-of-8 shooting, including 2-of-3 from beyond the arc. George played all 12 minutes in the opening quarter and only played 6:57 of the second. He finished with 26 points after sitting the second half. 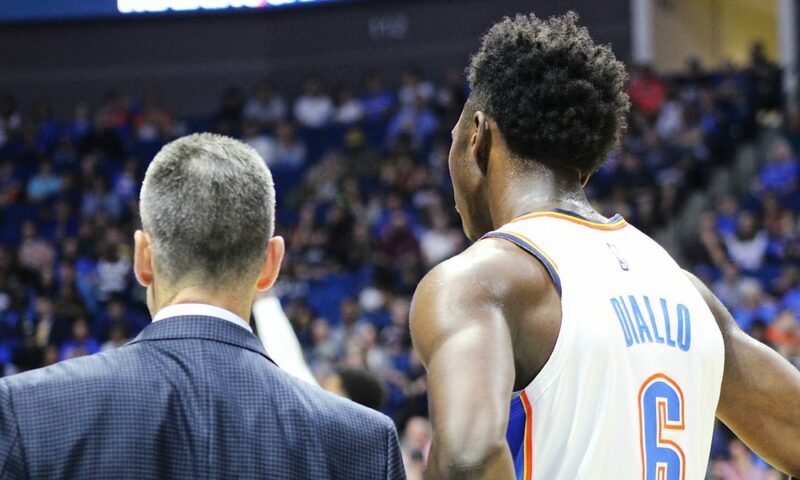 Hamidou Diallo, who started in place of the injured Terrance Ferguson, continued his impressive play of the preseason. In nearly 40 minutes of play, Diallo scored 19 points on 50 percent shooting including 3-of-5 from three. 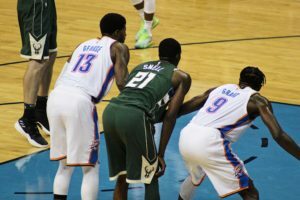 Billy Donovan mentioned all preseason that Diallo’s desired improvement would be in his shooting. Tonight was the culmination of the work Diallo put into his game. “I always work,” Diallo defiantly said in the locker room afterwards. Donovan went with in multiple lineups to see how the young rookie would react to different roles. He mentioned that when Diallo is on the floor with the veterans, he is looking for other things besides scoring. In those instances, Diallo conducted himself well. Never seemed out of control or doing things that make him uncomfortable. Donovan was happy with his play and optimistic about his future. 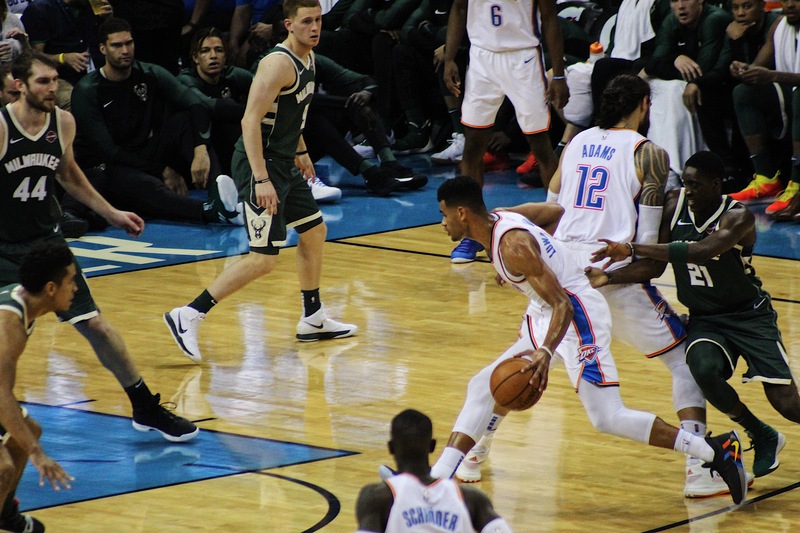 After a first quarter which saw what some may refer to as the Milwaukee Bucks — a lot of player didn’t play — commit no turnovers and shoot 4-for-7 from three, the Thunder settled down. Oklahoma City led 55-48 at half after George did all of his damage. Late in the second quarter, Dennis Schröder (eight points in just under 17 minutes) got hit with an inadvertent elbow to the head. He was taken to the locker room for precautionary reasons. 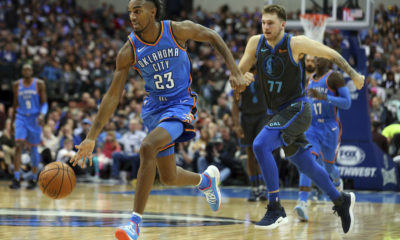 Schröder would be okay per the Thunder but was held out of the second half with George and Steven Adams (five points and five rebounds). 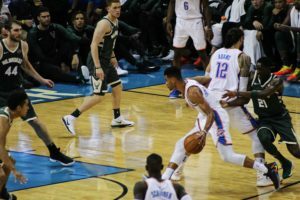 The third quarter saw the lead remain at seven-point Oklahoma City advantage but Donovan was not pleased. Deonte Burton added 16 points and a highlight reel fast break dunk to put a cap on what many assumed was the end of the game. Milwaukee’s Tim Frazier gave fans extra basketball with a made three at the buzzer to force overtime. Overtime was the Burton show. Two late three’s put the Bucks away for good. 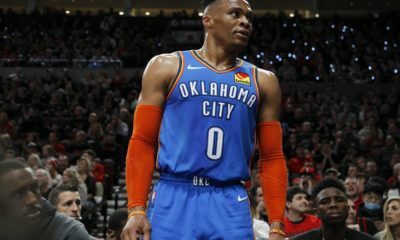 The Thunder have tomorrow off. Their first game will be in Oakland, California against the Golden State Warriors on opening night.